Craig Wright, Founder of nChain and vocal proponent of Bitcoin SV, disappeared from Twitter after the recent episode involving alleged harassment, lawsuits and copyright infringement. The self-proclaimed creator of Bitcoin was attacked by trolls on Twitter, after he announced his intention to sue anybody making false claims or harassing or copying his tweets. Following the Twitter storm, many troll/spoof accounts were created. 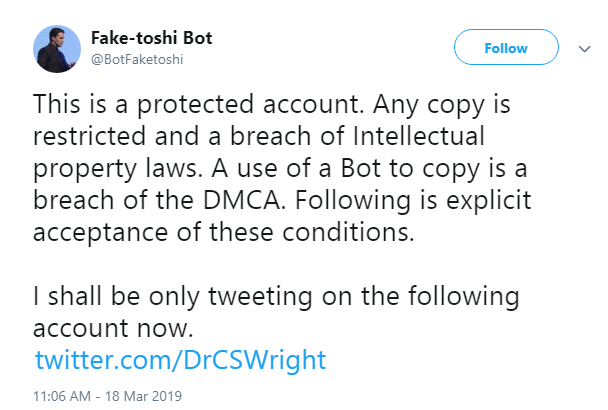 One such notable account was Fake-toshi Bot, an account that reproduced Wright’s tweets. Wright had previously responded to such bot accounts with the threat of legal action. 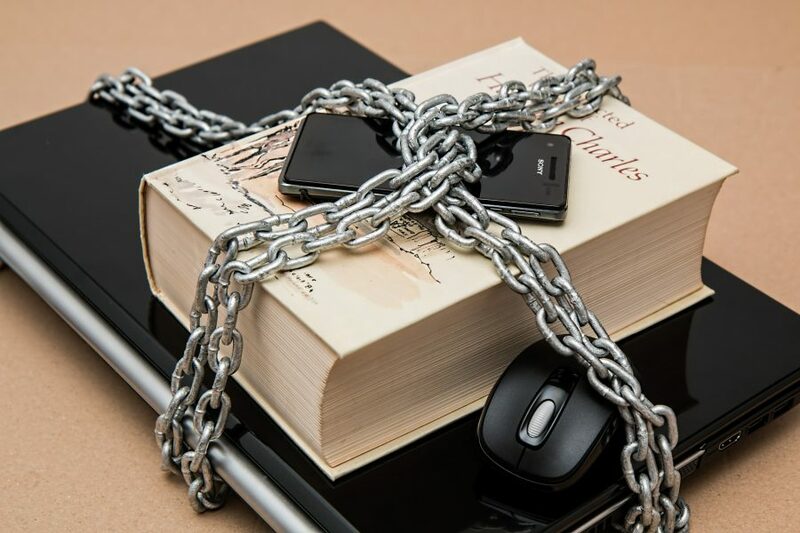 The DMCA prohibits trafficking in devices or tools that help other people circumvent access-control and copy-control measures. 17 U.S.C. § 1201(a)(2), (b). This includes Twitter Bots and is a criminal offence in the USA. A Twitter user, @big_blockers, also came forward to inform the Twitterverse that Jihan Wu, the founder of Bitmain, was now following the parody account as well. Roger Ver and Jihan Wu previously had a strong disagreement with Craig Wright and Calvin Ayre during the hard fork of Bitcoin Cash. Craig Wright’s Twitter account, at the time of writing, was suspended, suggesting that it could either have been reported by multiple users, or Wright must have deleted his account.